​Borussia Dortmund chief Hans-Joachim Watzke has moved to dismiss rumours linking rising star Jadon Sancho with a move to Manchester United this summer. The Red Devils are widely reported to be interested in bringing the young England forward to Old Trafford in the summer as Ole Gunnar Solskjaer lines up potential star recruits to reinforce his squad ahead of a push towards the top of the Premier League table next term. Sancho has been ​suggested as a £100m target for the newly-appointed permanent ​United boss but, as quoted by the ​Mirror, ​Dortmund have opted to dismiss talk of selling their prized asset. Watzke told Goal and DAZN: "I don't care about that [the speculation]. "Everybody knows that Jadon will play for us next year. That's a fact and we don't have a price tag for him. And because everybody in Europe knows that nobody contacted us." Despite United said to be leading the chasing pack of clubs potentially interested in a move for the starlet, there have also been suggestions that his former club ​Manchester City may be able to call upon a first refusal clause should Dortmund opt to sell Sancho. "We never give information about contract details but City has no co-determination right at all," Watzke said of the speculation over Sancho's potential return to the Etihad. Sanco's stock as one of European football's hottest young properties has continued to rise in the Bundesliga this season. 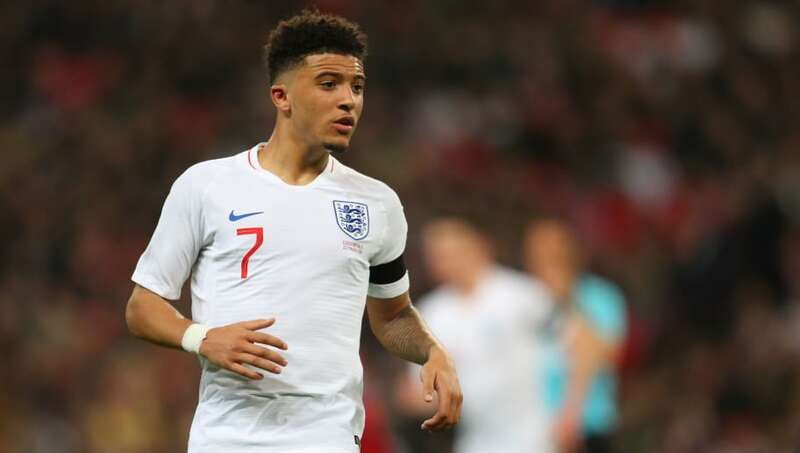 The winger has scored nine goals in 35 games in all competitions for Dortmund, and also made his senior debut for England against Croatia in October before going on to make four further appearances for Gareth Southgate's side since then.